Four new trains have been taken out of service on the Great Western Railway network after their launch was plagued by issues. The first destined for Wales from London - the 08:15 BST to Cardiff was cancelled on Monday. 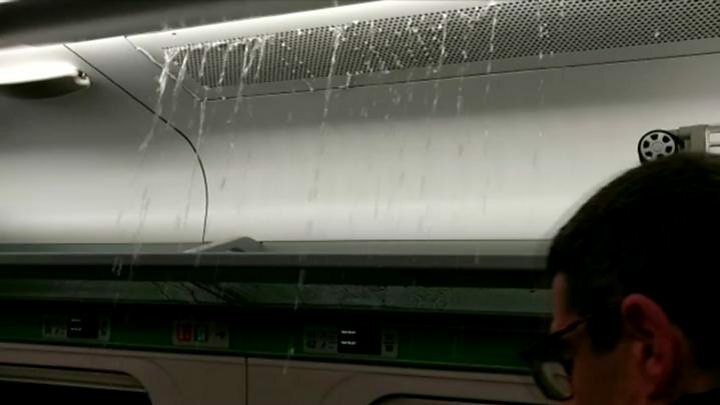 Issues included water leaking from air conditioning systems on to commuters. A GWR spokesman said the new Intercity Express Trains have received a software upgrade to fix issues and will return to service soon. The four five-carriage trains will be faster and carry more passengers and are designed to run on GWR lines for the next 27 years. As well as fixing air conditioning leaks, the upgrade should solve other issues and improve the customer information displays. "We hope to have them back in passenger service as soon as possible," the GWR spokesman said. Welsh Secretary Alun Cairns had admitted there were "teething problems" after the first service to Wales, the 08:15 BST London to Cardiff, was cancelled, but he was excited the trains would be "the most modern on the network". GWR described the new trains as the "biggest fleet upgrade in a generation". 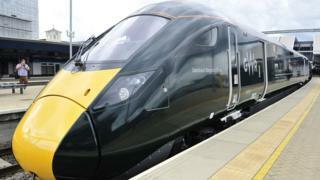 Despite the cancellation of the first scheduled service, following trains ran from London to Swansea on Monday.